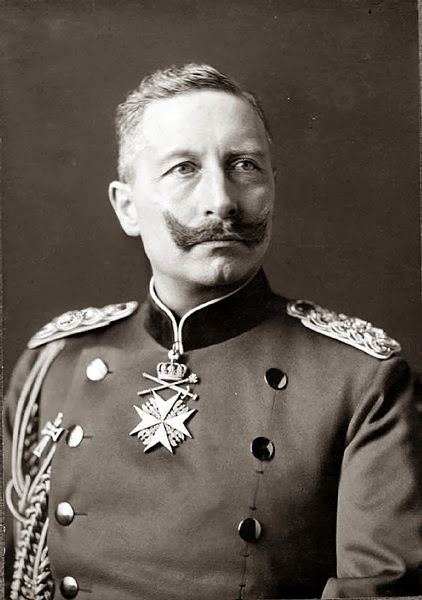 Apparently, this strange looking primate is named after the German emperor Wilhelm II (1859 - 1941), due to their "remarkable" resemblance. At first, this name was used only as joke, but over the course of time it became the species' "official" common name! The species lives in the southwest Amazon Basin, east Peru, north Bolivia and the west Brazilian states of Acre and Amazonas. These weird animals inhabit tropical rain forests and either live deep within the forests or in open tree-covered areas. Emperor tamarin has a predominantly grey colored fur with yellowish speckles on the chest. It has black hands and feet along with a brownish or orange tail. As you have probably noticed from the photos, the species' most distinctive characteristic is the long, white mustache, extending from both sides beyond the shoulders. They have a total body length ranging from 24 to 26 cm (9 to 10 inches), with a long tail of about 35 cm (13 inches). The long tail is used as a fifth hand when gripping branches. Their average weight is approximately 300 to 400 g and their average life span is 17 to 20 years. Their small size and light weight enables them to reach branches and twigs that other bigger monkeys simply can't. Thanks to their small stature they are quick and shifty leapers, a crucial trait for both catching prey and avoiding predators. About two-thirds of females are trichomats, meaning that they see in three colors. It is believed that this type of vision allows them to detect ripe fruit with greater ease. The rest of the females and all the males are dichromats, being able to see only two colors. This type of vision helps them detect predators and prey, even the ones using camouflage-techniques. The two subspecies have essentially the same body structure. 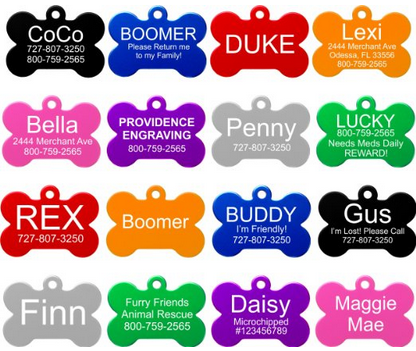 The main difference lies in the variation of color on the chest, belly, and arms. The Black-chinned Emperor Tamarin -as implied by its name- has a black chin. The hair on its chest and belly are a mixture of red, orange, and white while its back is covered by dark brown fur. The inner side of its arms and legs have an orange-like color. The Bearded Emperor Tamarin has a large white-haired beard, contrary to the saguinus imperator imperator which merely has faint black whiskers upon its chin. They are diurnal animals, meaning that they are most active during the day, resting in the safety of the tree tops during the night. Emperor Tamarin walks and runs quadrupedally throughout the forest, preferring to spend most of its life in the safety provided by the trees, with the aid of course of their quick, safe movements and broad jumps that they can easily perform. They are not solitary animals and prefer to stay in groups. These groups typically consist of 2 to 8 individuals. In contrast to other mammals, these groups are led by the oldest female. They use loud calls to make their presence known, especially near their territorial boundaries. At night, they sleep in large isolated trees, near other group members. They also use cries for distinguishing friends, foes and interlopers. Mutual grooming holds one of the most significant roles for bonding and socializing. Emperor Tamarins are also known for the inter species associations that they form with saddleback tamarins. In this mutualistic relationship, the emperor tamarins (which live in the higher levels of the jungle canopy) watch for dangers and predators from the high ground while the saddleback tamarins do the same from below. There have also been reports of emperor tamarins flushing prey and food down to the lower levels where the saddlebacks are! In captivity, they have been reported to mate at any time of year, however in the wild these primates usually mate between the months of April and July. Although most animals in the group are fertile, usually only the two oldest males and the oldest female are the ones responsible for reproduction. The gestation period lasts 140-145 days and after it, the females usually give birth to two infants. The whole group (including other females,the males and older siblings), takes care of the off springs. Males groom newborns more than females do, while females are responsible for cleaning them. Infant tamarin babies become mobile at the age of 2 to 5 weeks, and start to eat solid food at the age of 4 to 7 weeks. It takes them around 15-25 weeks to become fully weaned. After about 2 years they reach sexual maturity. Humans are another major threat, since we destroy their natural habitat. Although Emperor Tamarin is listed as of "Least Concern" by the IUCN, it should be emphasized that they are endagered in Brazil and Peru, with the main threat being logging. Emperor tamarin starts eating a twig at 00:15. So cute! - Zoo personnel has observed some very interesting behaviors. For instance, staff at the Jackson Zoo in Jackson, Mississippi, have reported that they display a need for tenderness. They love to be stroked by human hands and even lie on their backs in order to indicate to their caretakers their need for special attention. - In the past, Tamarins were hunted because they were thought -falsely- to carry diseases like malaria and yellow fever. EMPORER TAMARINS ARE GODS GR8ST CREATION YET!!!!!!!!!!!!!!!! I WANT 1 SOOOOOOOOOOOOOOOOOOOOOOOOOOOOOOOOOOOOOOOOOOO MUCH!!!!!!!!!!!!!!!!!!! !IF U DONT LIKE THESE WONDERFUL CREATURES THEN THERES SOMETHING WRONG WITH U!!! 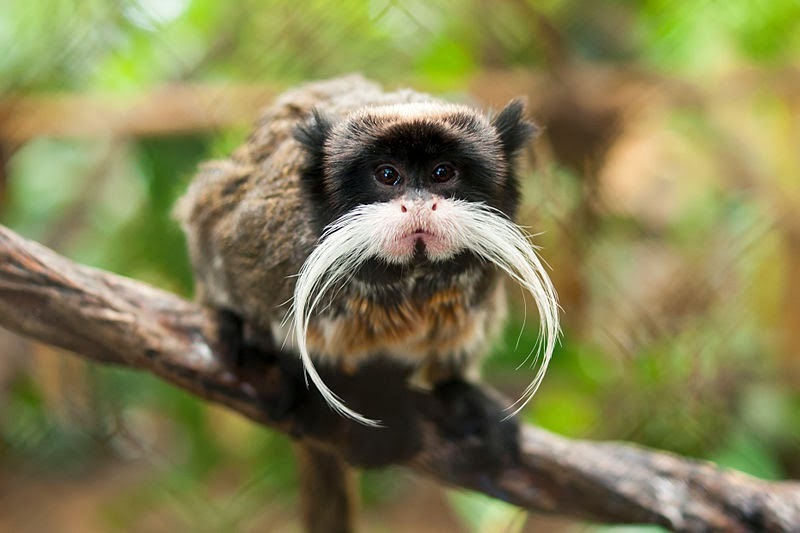 !EMPORER TAMARINS ROCK!!!!!!!!!!!!!!!!!!!!!!! !